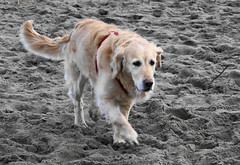 a dog walking on the beach on the stormy day. 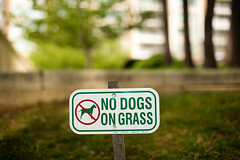 No Dogs on Grass sign near the Titanic Memorial in southwest Washington, DC. 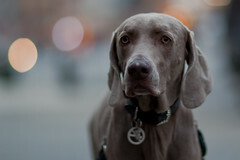 A dog looks at the traffic on 7th Avenue in New York City on March 21, 2010.